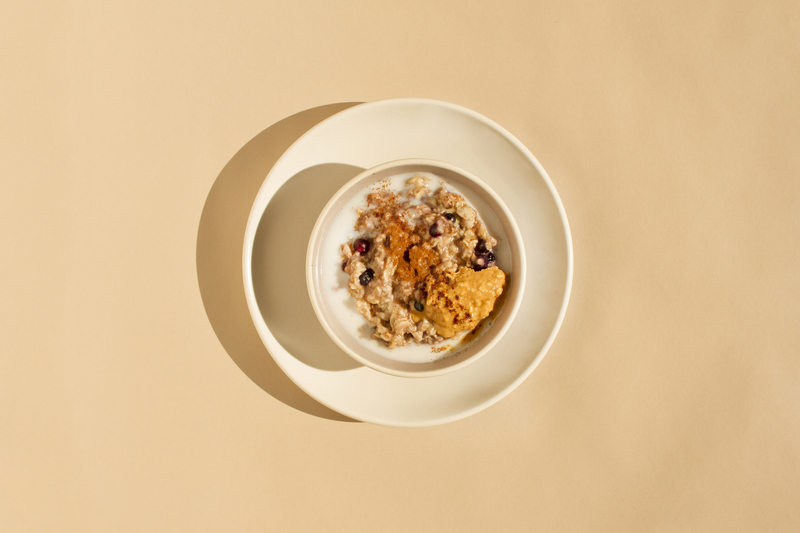 Oatmeal is an easily forgotten classic. Every time we go to the grocery store, we see instant-oatmeal packages and we’re shocked by how much sugar they can pack into such a small package. 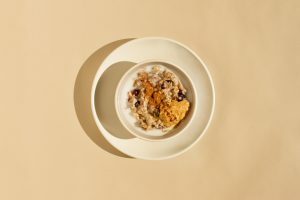 The reality (that we often forget) is that oatmeal is so incredibly easy to make — and doesn’t have to be a sugar bomb to be tasty. All it takes is a few minutes on the stove top— and it’s great because you can get super creative with your mix-ins. Swap blueberries for strawberries, mango, apple, banana, or whatever other fruit you have on hand. Get creative with your flavorings — you can add in nutmeg, rose water, or lucuma for added sweetness. For a more savory twist, add in some turmeric or a dash of chipotle pepper. Top it off with a nut butter of your choice, dried fruit, or seeds and nuts. We’re bringing back the classics. Homemade oatmeal any way you like in under 15 minutes. In a small pot, combine water and oats. Simmer the mixture over medium heat until all of the liquid is absorbed and the oats are smooth and creamy (about 8-10 minutes), making sure to stir occasionally. Once the oatmeal mixture is fully cooked, add in vanilla, cinnamon and maple syrup. Mix until well combined. Gently fold in frozen blueberries. These will add flavor and help cool down the oatmeal so that you can enjoy it right away. Divide the oatmeal amongst bowls. Pour 1-2 tablespoons of almond milk over the oatmeal, add a scoop of peanut butter on the side, and top it off with a sprinkle with cinnamon.